Now that the summer is coming to an end and the autumn is starting to settle in, I really wanted to share with you some of my summer holiday style essentials; the types of items that I cannot go away without. If you’re off for a bit of winter sunshine or in case we have an Indian summer, these are my recommendations for essential holiday style items. holiday bargains if, like me, you go on holiday during the winter time. Eyewear Whitney Acetate Sunglasses also from Harvey Nics (#6). with a staple tan belt, I love it! 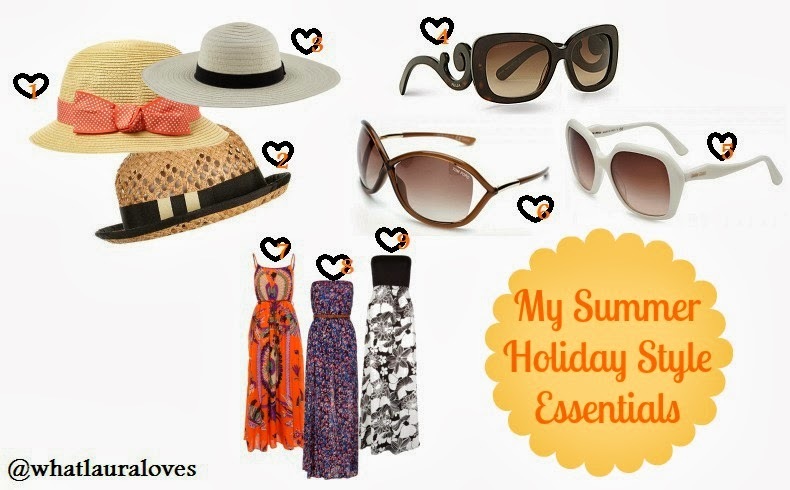 holiday style essentials, do let me know what your summer holiday style essentials are. Those are some real cool dress and accessories for summer. Nice post. I like all these accessories or think to buy one of them for my summer vacation..!! !Interesting sharing,thanks to you for this kind of informative post..! !